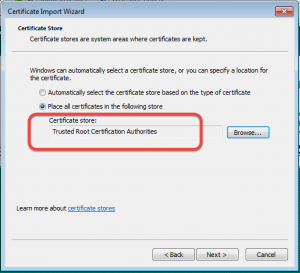 This article show you how to use NAT rules with Endian Firewall. 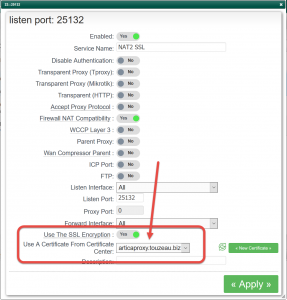 On the HTTPS ensure your certificate is added in the port configuration. 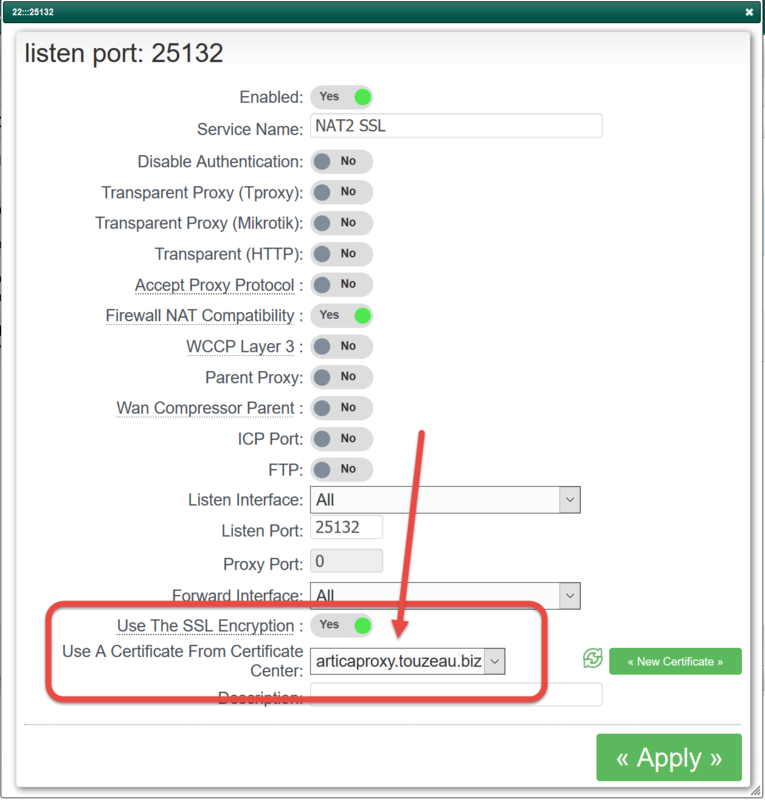 Download the pfx certificate and execute it to import it. 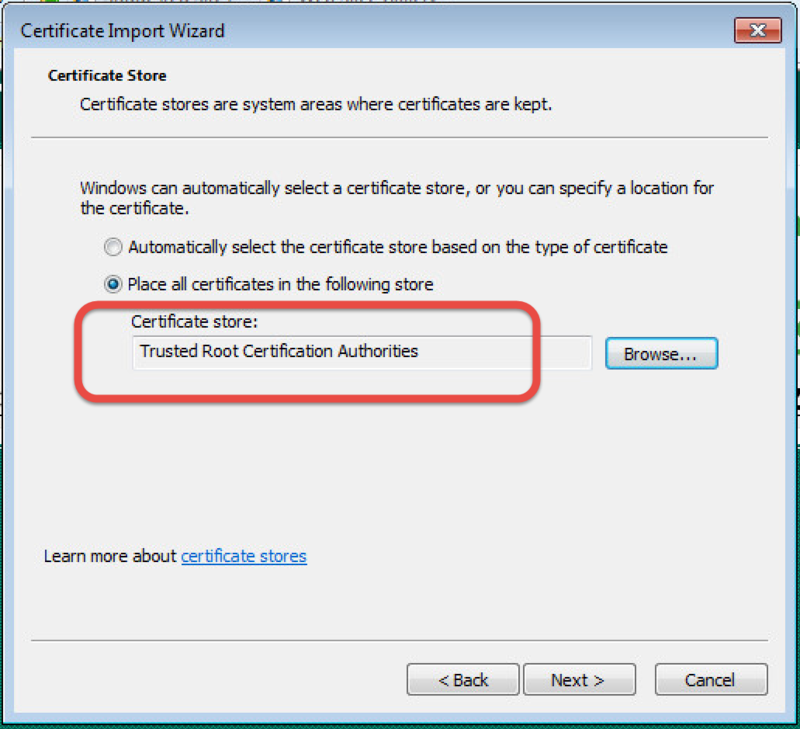 Ensure the certificate is saved in the Trusted Root Certification Authorities. We assume that the proxy use the 192.168.1.23 address. 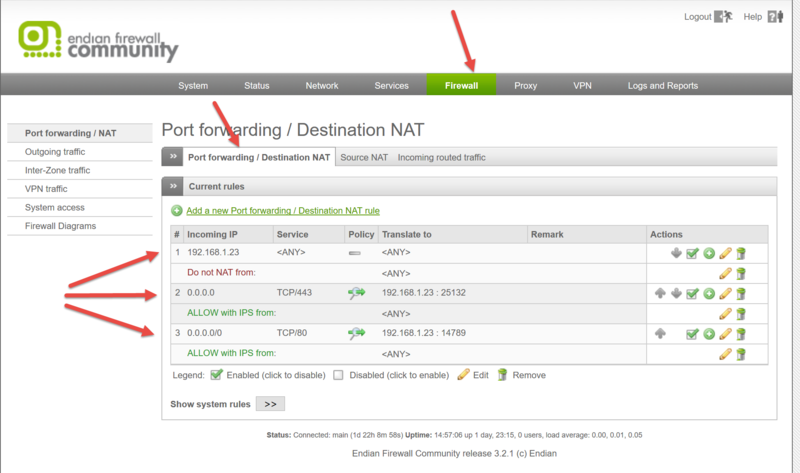 Pay attention of looping rules, you have to not NAT which is came from the proxy.